Want to save the family farm? Don’t vote Nats! This article was originally published in Independent Australia on 17 October, 2014. The Nationals are clever at using language and images that promote agrarian values but farmers are waking up to the fact that voting Nationals at the coming Victorian election could be like turkeys voting for Xmas. Deputy editor, Sandi Keane, reports. COULD THE outcome of Victorian election in November be decided in Victoria’s food bowl? 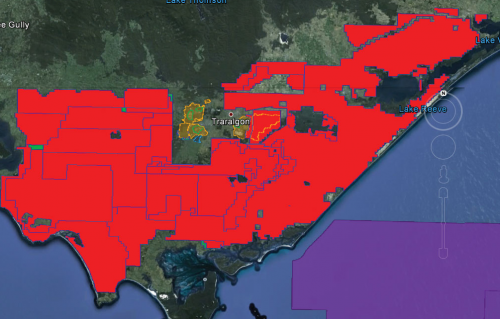 The fertile region of Gippsland may emerge as the moment of truth for the Nationals in the looming battle royal between farmers and foreign mining interests out to plunder their land for profit. When the Coalition won office in 2010, the Baillieu government reversed the Labor government’s shelving of coal licences. All that coal and coal seam gas just happen to lie beneath Victoria’s most productive farmland. Gippsland generates 32 per cent of Victoria’s and 19 per cent of Australia’s national milk output. You’d think a party that purports to representative agricultural interests would want to protect that? In response to the outcry by farming communities, the Victorian government this week launched an interactive website ‘Mining Licences Near Me’ so the public can track likely exploration and mining in their area. It is the height of stupidity by the Napthine government that 87 per cent of Gippsland is now under mining licence despite the fact that agriculture and tourism are the biggest employers in this region. These include 18 exploration licences for highly controversial coal seam gas and 4 for tight gas and shale gas. 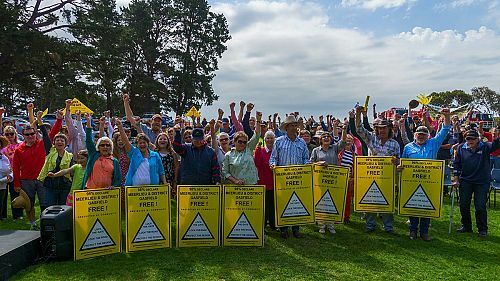 The insanity of the controversial experiment to harvest coal seam gas at the expense of our prime farmland has now basically run its course in the U.S. where farmers like John Fenton turned anti-CSG activist after the frackers poisoned his water, his land, his crops and the very air his family breathed. Read John’s story here. The Nationals’ sell-out of its traditional farming base and our future food and water security started when it joined its Coalition partners in pocketing large donations from powerful mining interests. 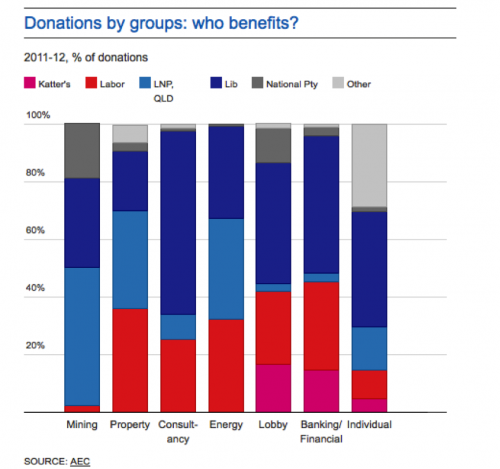 As the graph below from the 2011-2012 federal election demonstrates, the largest donor to the Nationals is the mining industry and the largest donation made to any SINGLE party by mining interests was the Queensland LNP where thousands of hectares of prime farmland have been destroyed by fracking and gas wells. At a federal level, the Nationals have joined the Liberals and Labor in refusing to support a Green’s bill to give farmers the right to say “no” to exploration or mining on their land. In Victoria, Labor – supported by the Greens – twice tabled a bill in the Upper House to enact a full enquiry into coal seam gas. National Legislative Council MPs representing farming electorates under threat from gas exploration such as Gippsland and the Otways, Danny O’Brien (Eastern District) and David O’Brien (Western District), joined the rest of the Nationals and Liberal MPs in voting it down. Handing Russell Northe, a National MP, the key energy portfolio, was a cynical move by the Napthine government to lock in support from any renegade National MP who might refuse to roll over to appease their paymasters because of some misplaced idea that their allegiance should be to their farming constituents. It is difficult not to see Minister Northe’s announcement of a community consultation process on the gas industry as another cynical exercise aimed at diffusing the issue before the election given that sites have already been earmarked for drilling and the report has been held over until well and truly after the election. Was there ever more evidence of political donations being outright bribes than the release this week by Minister Northe of the government’s Energy Statement, declared by Environment Victoria as a “brown wash”? The policy flies in the face of the four out of five Victorians who want clean energy but, more importantly, it wantonly sacrifices our prime farmland and, along with it, our future food and water security. And then there’s National MP Damien Drum who gave a glowing report of the CSG industry in Queensland. He certainly didn’t speak to the farmers of Cecil Plains. As Parliamentary Secretary for Regional Development, coal seam gas is the kind of development he wants for regional Victoria. Such is Australia’s endemic regulatory failure that Santos, a $20 billion multinational corporation, was fined a trifling $1,500 by the NSW Environment Protection Authority after contaminating the water in Pillaga with 20 times the safe limit of uranium. The EPA even failed to identify the nature of the contamination in its media release. A slap on the wrist with a limp lettuce leaf is about all farmers can expect for miners contaminating their land or water. For more on the appalling lack of regulatory oversight of the CSG industry, see The Australia Institute’s report: Fracking the Future – busting industry myths about CSG. Can the Nationals hang on to their three critical Gippsland seats? Of these, the one to watch will be Morwell where sitting member, Russell Northe holds it by a challengeable margin of 13 per cent. After Premier Napthine and Russell Northe tap-danced and obfuscated about the health risks during the Hazelwood mine fire catastrophe, Morwell residents will likely be waiting at the ballot box with baseball bats. Because of the cover-up, it is now alleged that up to eleven people died as a result of the toxic fumes — revealed too late to be considered by the Hazelwood Mine Fire Commission. The fire cost Victoria $100 million. The Commission sheeted the blame home to the mine operator, GDF Suez, for failing to implement adequate risk management. The company denies responsibility and refuses to pay compensation. 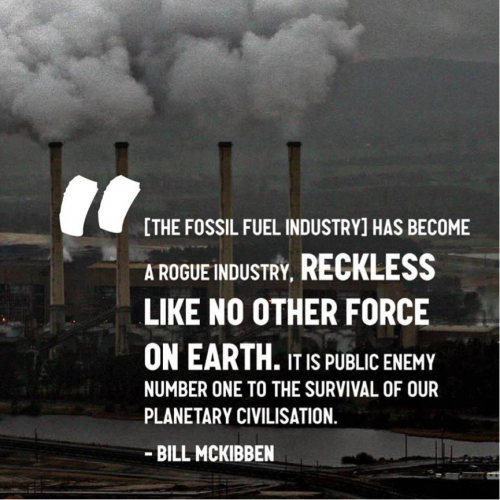 Support a permanent ban on new coal mining, onshore gas and fracking. In the wake of the Hazelwood disaster, Latrobe Valley First formed its own community group mailing householders over 30,000 ballot papers. The community selected Tracie Lund whose position echoes that of the Greens that landholders should have the right to say “no” to mining. Does not support fracking until there is indisputable and independent evidence that it is safe, especially for underground water reserves. See position on CSGhere. “Victoria desperately needs a genuine country party. We wouldn’t exist if the Nationals were doing their job”. Labor will maintain a moratorium on non-conventional gas extraction, until such time as science proves that it’s safe and there is broad community support for its removal. 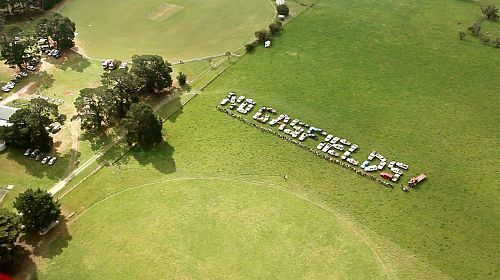 Likewise, in the electorates of Gippsland South (held by a margin of 22.6 per cent by Deputy Premier, Nationals’ Peter Ryan) and Gippsland East (23.1 per cent) by Nationals’ Tim Bull), farmers can opt to vote for at least three anti-CSG candidates fielded by the Greens, the Australian Country Alliance and Labor, all offering (by degrees in that order) more protection for farmers’ rights than either the Nationals or Liberals. Victorian farmers have been goaded into action against the onslaught of Big Mining. This election may be the last weapon they have to halt the coming stampede where voting National this time could be like turkeys voting for Christmas.